Jay Lund is a professor of civil and environmental engineering at UC Davis. He was a member of the advisory committee for the 1998 and 2005 California Water Plan Updates, has served as convenor of the California Water and Environment Modeling Forum and as president of the Universities Council on Water Resources and the Delta Independent Science Board. 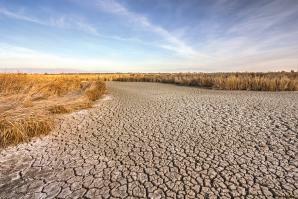 California is in the third driest year in more than 100 years of record. Farmers throughout the state are seeing their water use curtailed, some communities are rationing water, and fish and wildlife populations are threatened. California needs additional storage capacity to weather such droughts, and it’s groundwater storage — not surface storage — that will have the greatest impact. Still, storage alone won’t be enough.